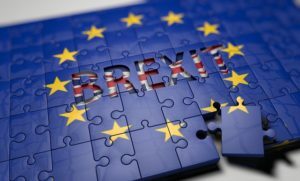 The London Market Group has underscored changes it believes must be made to the European Union equivalence regime ahead of “one of the most critical decisions in a generation” taking place in the House of Commons. MPs are due to vote on the Government’s Withdrawal Agreement and the Political Declaration on December 11, outlining the parameters of the UK’s future relationship with the EU. This vote is the culmination of negotiations lasting over two years, during which the LMG has represented the interests of the brokers and underwriters in London in the UK and in the EU. LMG states that, following many meetings with ministers, officials and regulators, the government has recognised that the London Market does need to see significant changes to the EU equivalence regime. Currently, equivalence can be withdrawn unilaterally with only a 30-day notice period, something that has been of concern to UK firms. While LMG says it wants to see reinsurance equivalence from day one, there are no equivalence frameworks for insurers under Solvency II or for brokers under the Insurance Distribution Directive. The group has therefore been looking closely at precedents in other financial services sectors to find an answer. “The EU has long recognised that the treatment of firms providing financial services to sophisticated, commercial clients should be more flexible. Access to the right markets is key if EU clients are to continue to benefit from competition amongst service providers,” LMG said in a statement. In other sectors such as investment management, this is recognised, and appropriate equivalence regimes exist to preserve EU client access to appropriate Third Countries. LMG says it would be unacceptable to see EU clients left in a detrimental position, not knowing whether their claim would be paid or not. In the event of a no deal scenario, the so-called “Norway for now” option may well be worth considering, LMG adds. While the group says this would allow the UK to fall back on membership of the European Economic Area and the related Free Trade Association in order to negotiate a new, bespoke relationship with the EU, it believes these are ultimately political decisions for Westminster. LMG has been clear, however, about the negative consequences of a ‘no deal’ for the industry and where this would leave our clients.